Anna Grace is using Smore newsletters to spread the word online. What kind of holidays do they celebrate? Lichtenstein's main holiday is celebrated on August 15th. During this holiday, the royal family and parliament make speeches at a ceremony in front of Vaduz Castle. Later in the day, they serve drinks on the garden and then the festival opens. Many tourists and locals come to view and experience these thing. At the end of the day, they end the festival with a firework display. 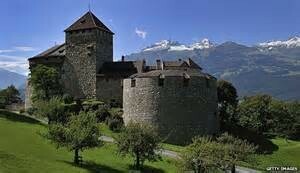 Liechtenstein's government is mixed between a parlimentry democracy and a constitutional monarchy. While there is a parliament, they also have a prince. Some of Liechtenstein's land and tourist attractions. This is where the princely family lives. In one of their favorite holidays, they have a drink and eat in the gardens when everyone is welcome. Liechtenstein is a small country in Europe located between Austria and Switzerland. Vaduz is located a little bit towards the west side. What is the story behind Liechtenstein's flag? Prince Joesph Wenzel selected the colors red and blue instead of red and gold in 1764. However, they added the crown to the top left corner of the flag when they discovered that they had the same flag as Haiti in the Summer Olympics in 1936. Schaan is the largest city of Liechtenstein ranging to 10.3 square miles. 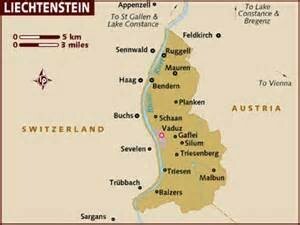 Liechtenstein is 62 square miles big and is the 6th smallest independent country. Liechtenstein mostly contains Germans, but there are small groups of Italians and Turks.